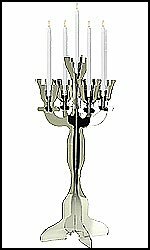 Our Illuminate series of candelabras are made from acrylic and have been cutout and etched to give light a completely new look. 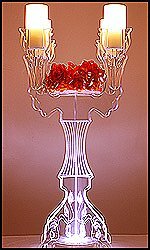 Accent any of these candelabras with your choice of light or light base and watch them glow on the edges. They will stun your guests. Available in clear or mirror styles and don't forget to scroll through to view our 10-pack savings!